Editorship: member of the Executive Advisory Board of the Wiley-VCH Macromolecular journals, and of the advisory board for Reactive & Functional Polymers (2006-2012 Editor-in-Chief for the journal) and Polymers for Advanced Technology. 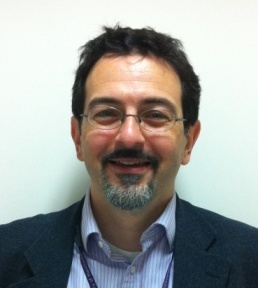 Professor Nicola Tirelli hols a joint appointment as a Professor of Polymers and Biomaterials in the School of Pharmacy and in the Institute of Inflammation & Repair (MHS). He has joined The University of Manchester in December 2003 as a Senior Lecturer in the School of Pharmacy & Pharmaceutical Sciences, and was promoted to Chair of Polymers and Biomaterials in the same school in 2005, then holding also an appointment in the School of Materials (2010-15). Previously, he was Oberassistent, a position largely analogous to that of a Lecturer, at the ETH Zurich, Department of Materials, Institute of Biomedical Engineering headed at the time by Jeff Hubbell (12/98-12/02). 2004: Friedrich Wilhelm Bessel Research Award from the Alexander von Humboldt Foundation (endowed by the German Federal Ministry of Education and Research).